It is important to know who is funding the people who run Sussex County government. 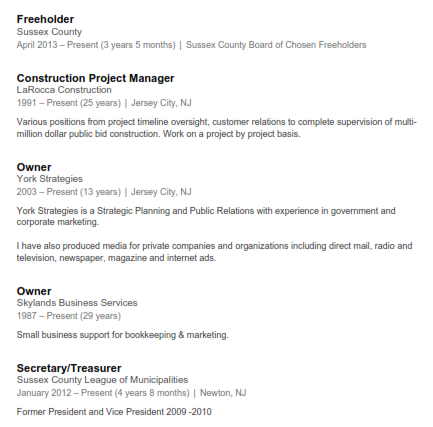 George Graham is the boss of the Sussex County Freeholder Board. He controls three of the five votes on the Board. That makes him the boss over the millions in property tax revenue and other monies collected and spent each year by county government. 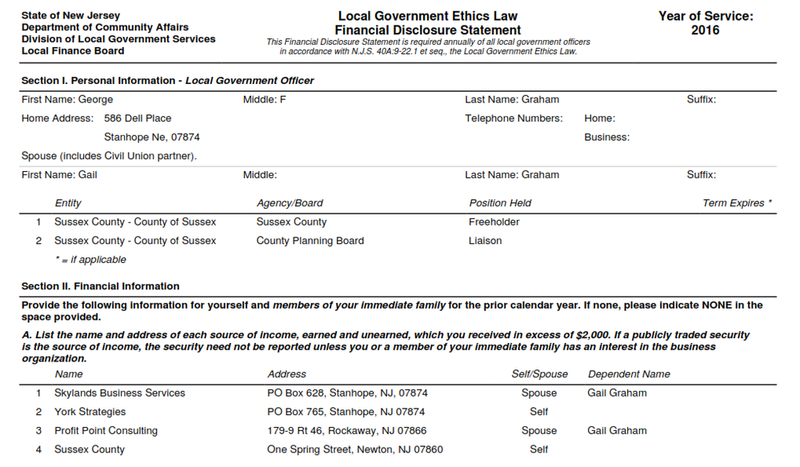 Why do Freeholder George Graham's official financial disclosure statements differ from his stated sources of income? Why does he fail to report the income from his relationship with a major construction company with government contracts? The New Jersey Herald needs to ask these questions and find out. It's readers will accept nothing less than the truth.